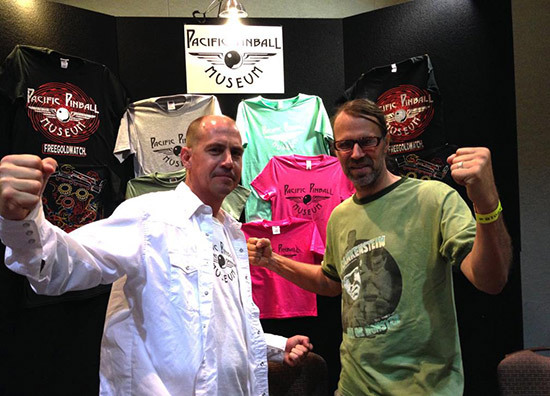 After a four year hiatus, during which time efforts were focused on operations and expansion, the Pacific Pinball Museum resumed its highly successful series of PPM Expositions on November 11th, 12th and 13th, preceded by a special VIP early bird preview sale and party on the 10th. 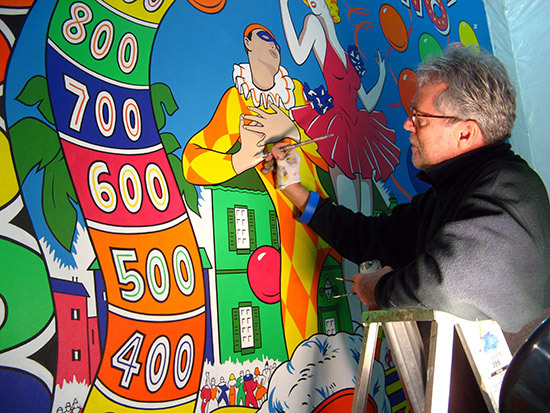 Exposition 2016, the museum’s seventh, adopted the theme Shoot the Moon, borrowing the name and the George Molentin graphics from Williams’ 1951 pinball machine of the same name, which greeted visitors at the entrance to the show. Shoot the Moon proved to be an all-together fitting title for the 2016 show reflecting the PPM’s cosmic accomplishments since their last Exposition. 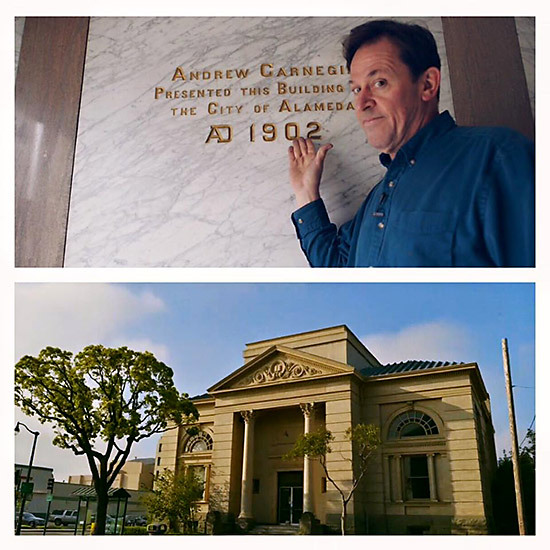 In the four year interim since the last show the museum space has increased significantly, the collection has continued to grow at a rapid pace and important progress has been made toward the funding required to relocate the PPM to the former Carnegie Library across from Alameda’s City Hall. Most recently, the on-going issue of adequate storage was successfully addressed. Until July the PPM was faced with severe overcrowding in their former storage and restoration facility. Even the narrow paths that separated aisles of games from one another had become impassable, requiring dozens, even hundreds of games, to be moved in order to unearth any given machine. Having determined that more space was not just desirable but necessary, the PPM Board of Directors decided to move the museum’s entire inventory of games, except for those in the museum proper, into a huge new commercial space. PPM Exposition 7 was staged to celebrate the importance of that move, showcase the museum’s greatly expanded collection and share with the public what the PPM has recently accomplished and what lies ahead. 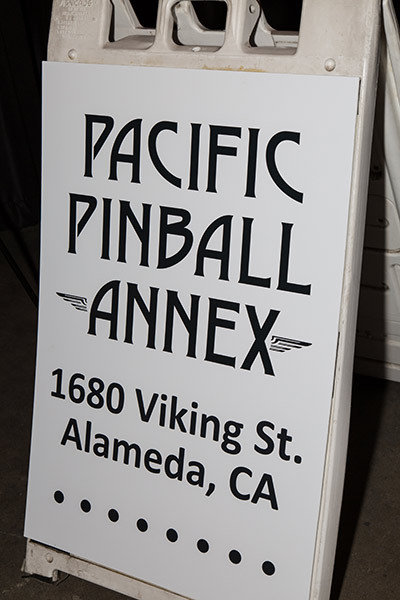 The gala event was held in the new Pacific Pinball Museum Annex at 1680 Viking Street in Alameda, California. 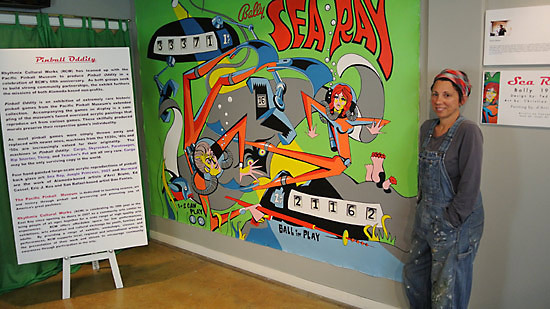 The new Annex is just minutes away from the PPM Museum’s 1510 Webster Street location, which is open to the public 6 days a week, featuring a rotating line-up of 100-110 games set up on free play. 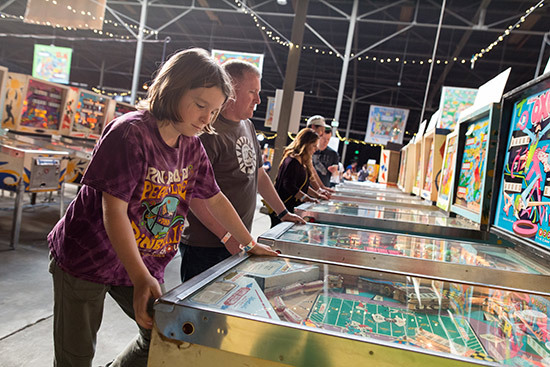 The new, 45,000 square foot PPM Annex provided the perfect venue to introduce visitors to nearly 500 pinball machines from the museum’s more than 1,300 game collection. 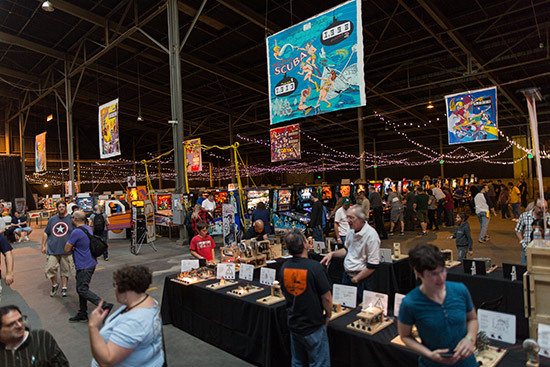 Games were arranged in back-to-back “islands” with extra-wide aisles between them allowing visitors plenty of room to play and the unique opportunity to walk, chronologically, year-by-year, through the development of pinball from 1947 through the present. 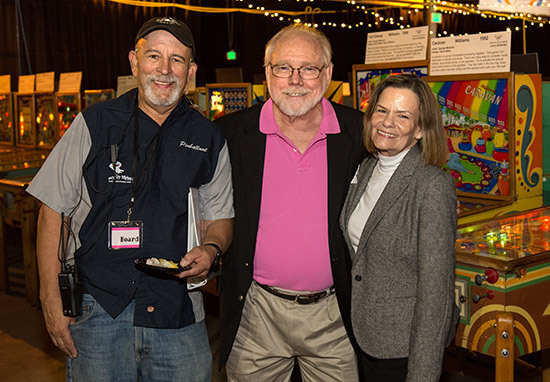 The time and effort required to successfully stage and manage such a pinball extravaganza could not have been achieved without the tireless efforts of an exceptional group of dedicated volunteers, some who began work as early as June to meet the November 10th deadline. The thousands of hours required to prepare and mount the show were managed and coordinated by key members of the PPM team. 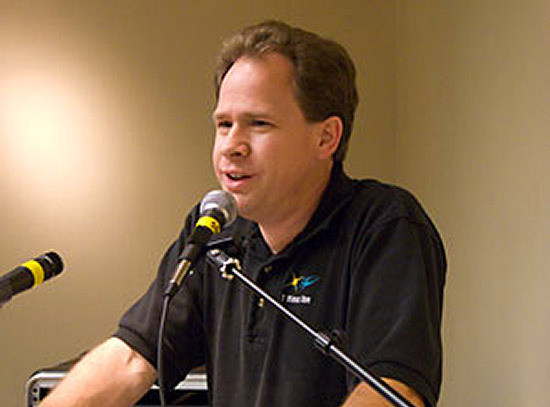 David Volansky, PPM’s newest Board member, was instrumental in the layout and engineering of the show and served as Floor Manager. 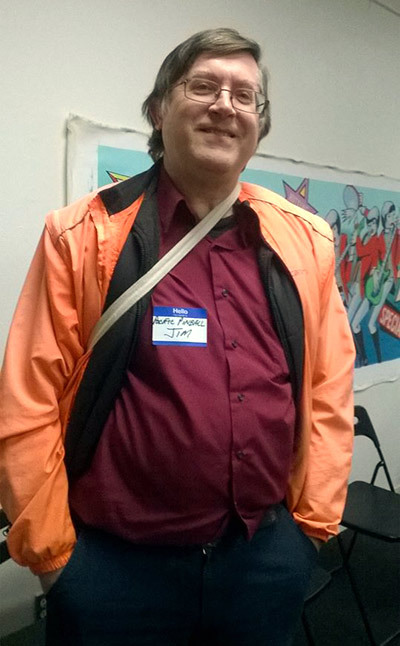 As Volunteer Coordinator, Brad Grant did an excellent job managing and scheduling the tasks of more than sixty hard-working volunteers. PPM Assistant Director d’Arci Bruno served as Facilities Manager capably assisted by Lynn Gustafson. PPM Curator Melissa Harmon’s artistic and managerial skills were constantly called upon as she multi-tasked throughout the four-day show. All-important security and parking facilities were managed by Jim Strehlow and Jem Gruber. 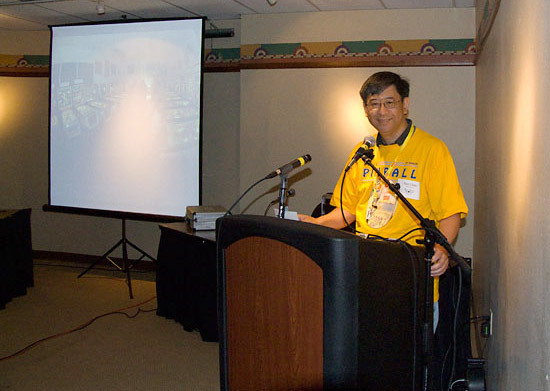 Ron Chan was responsible for developing the full color Shoot the Moon program guide with generous funding provided by exhibitor Marco Specialties. 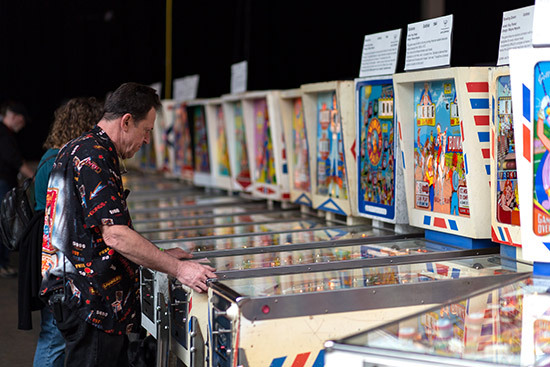 Of the games on display, 440 were available for free play throughout the weekend, maintained by a cadre of pinball tech volunteers who kept the games in good working order with a bare minimum of down time. Among the show’s highlights were the presence of 132 working woodrail pins from Gottlieb’s 1947 Flying Trapeze (their last pre-flipper game) to Flipper (their first add-a-ball) and a choice selection of Gottlieb wedgeheads. Williams 1952 Paratrooper as well as their Majorettes and Olympics, both with Roy Parker art! 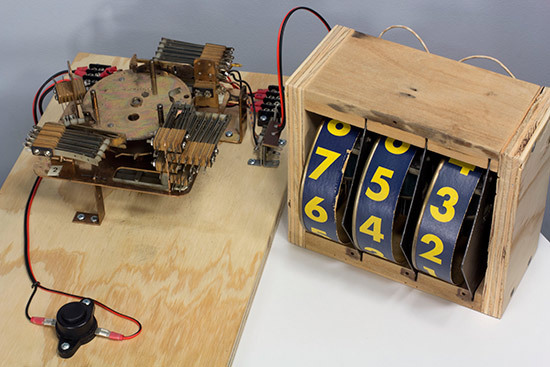 Genco 1952 Springtime featuring both a vertical and a horizontal playfield! 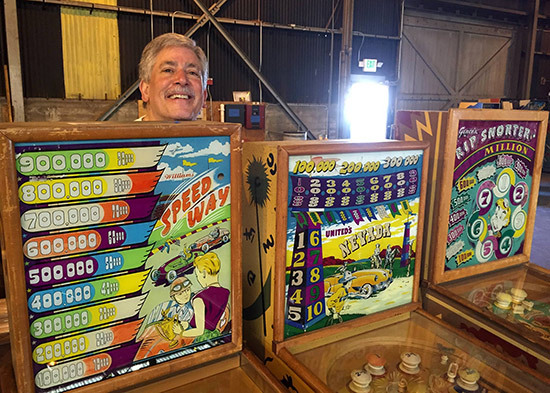 While all but a handful of games at the show were gifted to the museum by a host of generous donors, special mention should be made of the 240 working woodrails and wedgeheads on the show floor contributed by Larry Zartarian, President and Treasurer of the PPM Board of Directors. 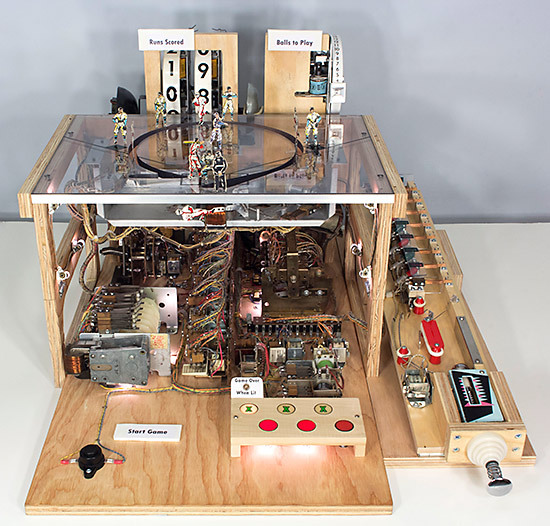 In addition to the woodrails available for play, there were 119 games from the 1960s, 129 from the 1970s, 28 from the 1980s, 31 from the 1990s, 3 from the 2000s and 5 from the 2010s. 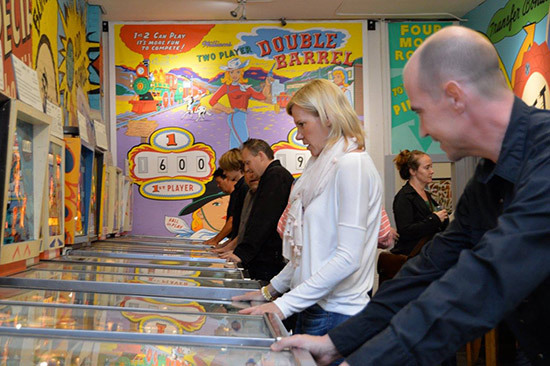 It seems safe to say that there have never before been as many woodrails or wedgeheads available for play in a single venue, even in the most heavily populated arcades of the 1950s and 1960s! It’s not just for guys anymore! 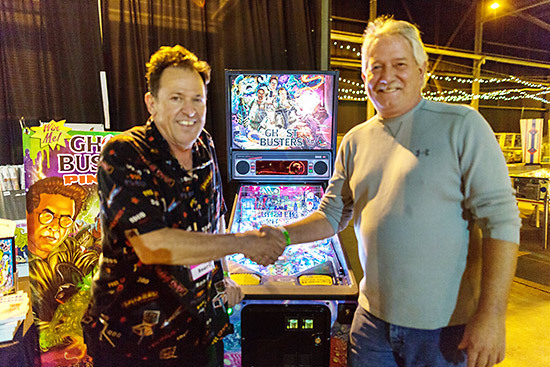 In addition, a special treat was in store for attendees thanks to Dan Miller who made his pristine collection of the three finest pinball machines from the mechanical age available for both viewing and play. The trio, all made by David Rockola, included his 1933 World's Fair Jigsaw as well as Army & Navy and World's Series both from 1934. It was amazing to observe the number of attendees who played these games repeatedly, captivated by the ingenuity and exceptional play value of these more than 80-year-old, entirely mechanical marvels! In summary there were working games from 21 different makers on the floor of PPM Expo 7. 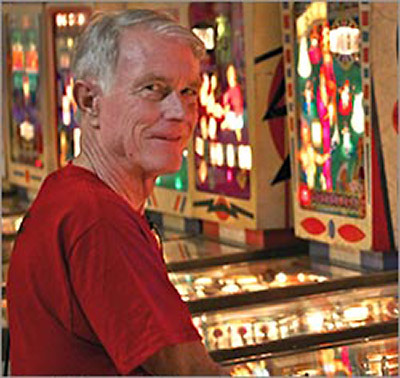 PPM BOARD MEMBER: “Far fewer machines have come to market since Bally, Williams and Gottlieb’s successors closed their pinball operations at the end of the last century. And, since the PPM is a museum, not an arcade, our focus is on acquiring older, more historic games while they’re still available. Another Expo highlight was the display of 34 additional games from the pre-flipper era. 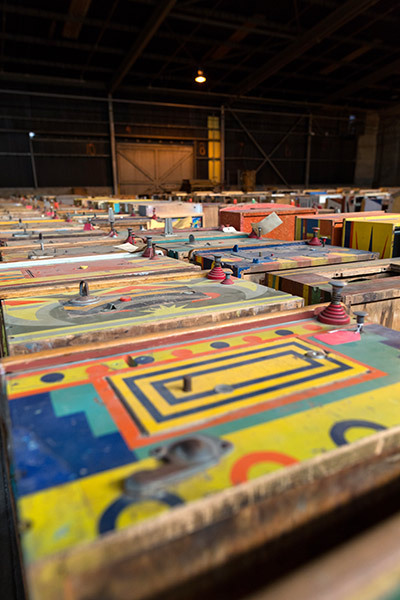 Set up for viewing-only they ranged from proto-pinballs and the 1931 origin games Baffle Ball and Bingo, through wartime conversions like the politically incorrect Victory Games’ Smack the Japs to 1947’s Coed, one of Exhibit Supply’s (ESCO’s) last pre-flipper pinballs. 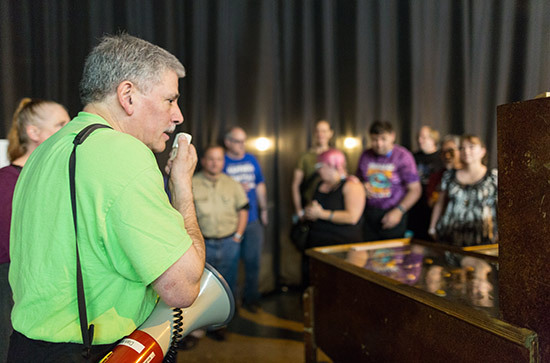 Each day during the three days of the show PPM docents Larry Zartarian and Dan Miller conducted guided tours of the games on the show floor. 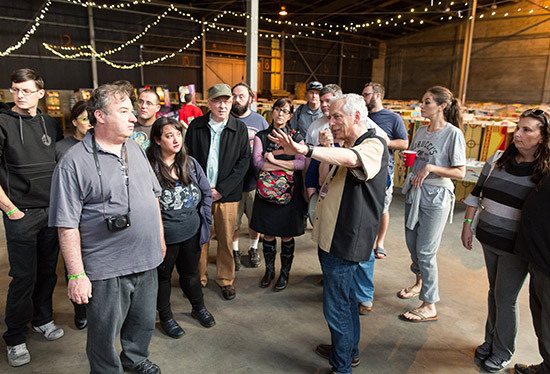 The tours provided an opportunity for attendees to learn about pinball’s evolution, the special significance of landmark games and to ask questions of the PPM’s knowledgeable tour guides. Four floor “highlight” tours were scheduled each day and all were well attended. PPM’s ingenuity and commitment to teaching through pinball employing STEM disciplines (Science, Technology, Engineering, Mathematics) was evident in the several interactive exhibits at Shoot the Moon. On display for viewing and play, the Visible Pinball Machine, developed by PPM Founder and Director Michael Schiess and master screen printer, craftsman, inventor and pinball artist Wade Krause, attracted many awed viewers and players! Fun with Pinball’s Mark Gibson and his wife drove all the way from Colorado to share eighteen of his unique 'Small Board' and 3 of his 'Game' displays demonstrating electromechanical pinball functions. 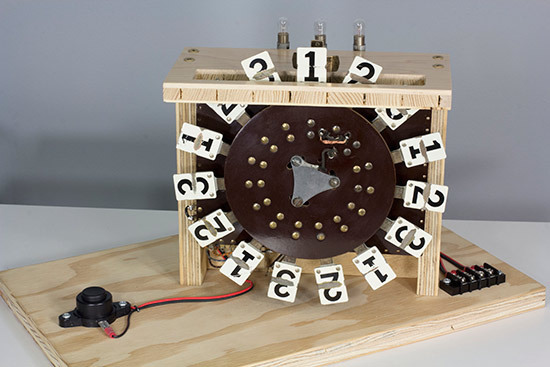 The three 'Small Boards' shown below demonstrate the operation of electromagnets, roto-target units and the Gottlieb score motor in EM games. 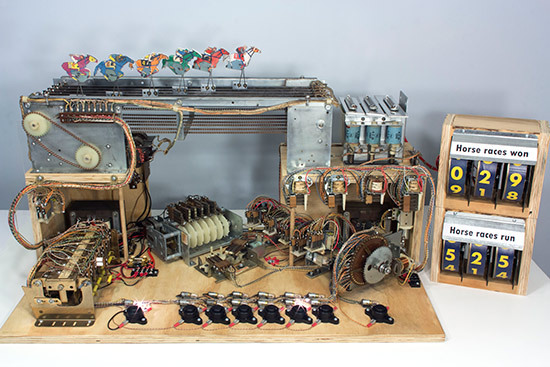 Mark’s 'Baseball Game' showed the operation of the classic Williams horizontal man-running unit, while his 'Horseracing Game' revealed the workings of Williams’ very popular chain-driven mechanism used to advance miniature horses, seahorses, speedboats and jalopies across the length of a variety of backbox race courses. 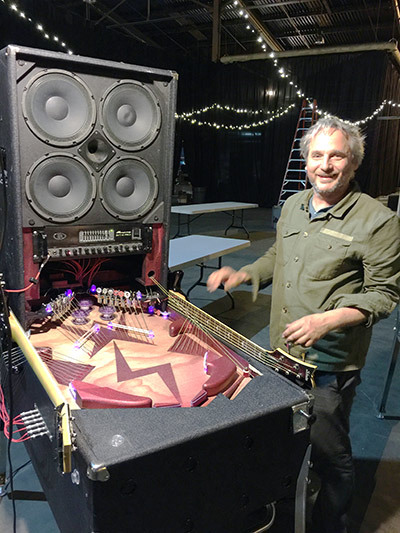 Australian Lucas Abela, an experimental musician, performance artist, inventor and founder of Dual Plover Records brought his spectacular sub-bass Bassballs musical instrument/pinball hybrid to Shoot the Moon for all to marvel at and to play! 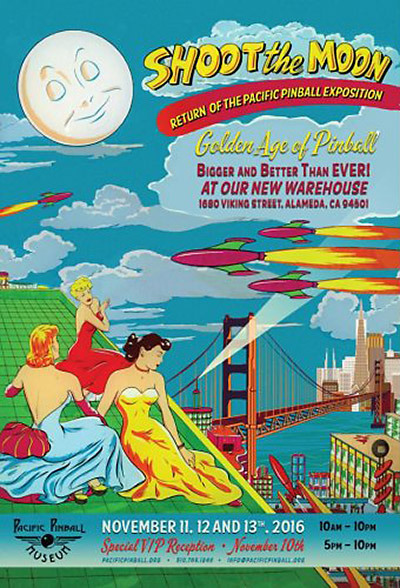 Adding to the tangible sense of excitement that permeated Shoot the Moon were the spectacular displays of pinball backglass murals by local artists that hung from the ceiling of the PPM Annex. 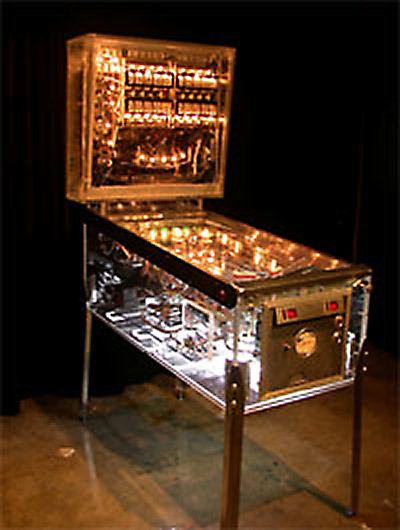 Since the PPM’s inception the museum has sought to celebrate and promote pinball art as a uniquely American genre. 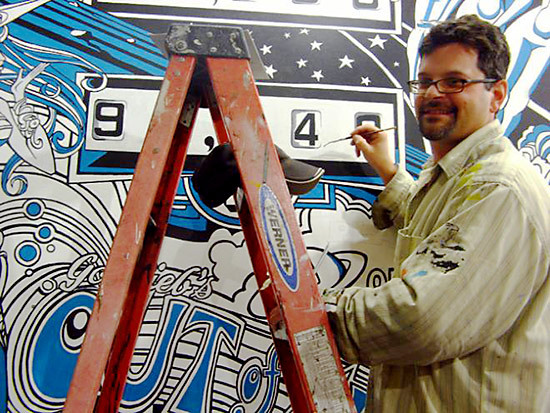 This commitment has resulted in thirty beautifully rendered, oversized canvases by local artists that recreate iconic pinball backglass art. 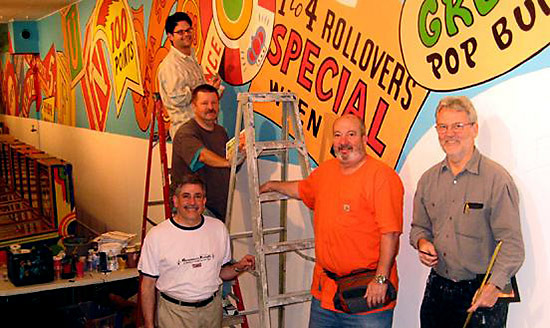 These magnificent tribute murals range in size from 6,794 square inches to a truly enormous 14,400 (120 x 120 inches) square inches. That’s ten feet by ten feet! Another treat, especially for first-time PPM Exposition visitors, was the presence on the show floor of the converted Spartan Manor trailer, the PPM’s traveling exhibit known fondly as the Lil’ Ju Ju. 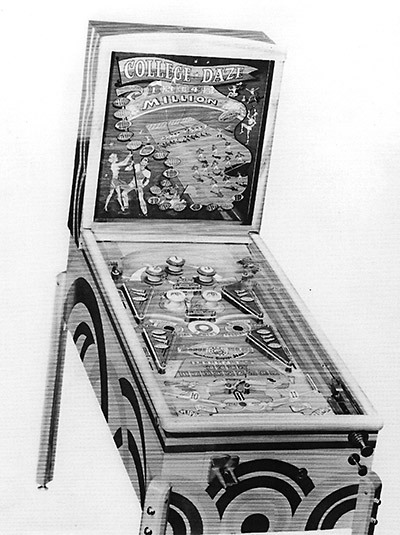 Tucked inside were the following five Gottlieb pinball machines available for play: Aquarius, Big Brave, Jacks Open, Jungle Princess and 2001. Not to mention the well-stocked, 1969 Seeburg Golden Jet jukebox to set the proper nostalgic mood! The Lil’ Ju Ju enables the PPM’s growing outreach to individuals, schools and other institutions and communities unable to visit the PPM proper. 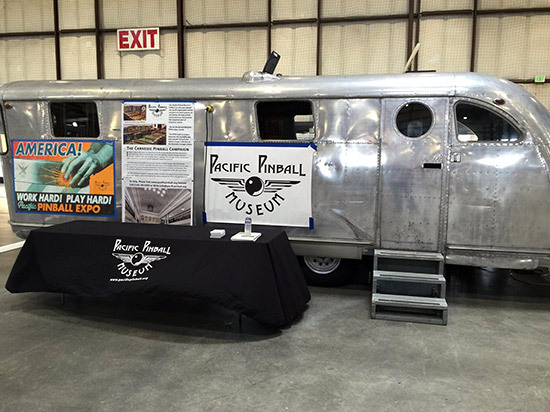 Like the time-honored book mobiles, the PPM’s traveling museum makes its periodic rounds to neighborhoods and events where it can spread the PPM’s message of pinball art, history, science and unrivalled entertainment. 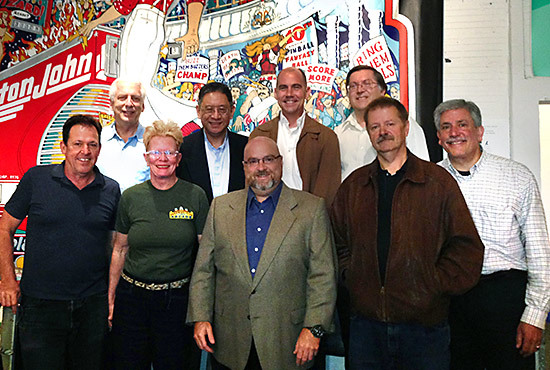 In a continuing effort to inform and educate about as many aspects of pinball as possible Shoot the Moon also featured a diverse agenda of seminars and video presentations. Master pinball mechanic Chris Kuntz, owner of pinball repair and sales company Pinball Pirate, delivered his 'how-to' seminar My EM Doesn’t Work! What Now? 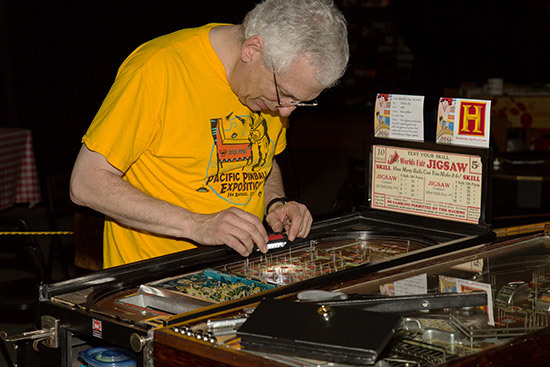 once each day during the Expo, sharing tips and shortcuts drawn from years of experience as a pinball troubleshooter and repair expert. 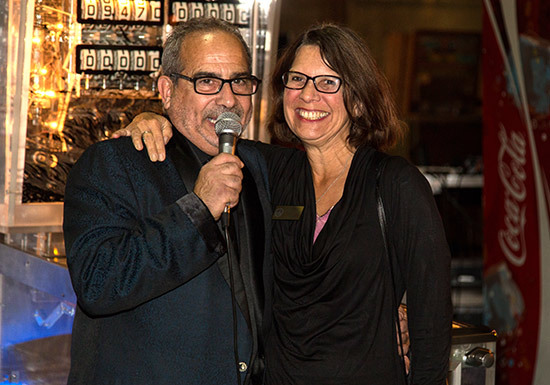 During Saturday’s show, author and publisher Bernard “Bear” Kamoroff provided pinball owners and wannabees with invaluable advice on How to Buy and Maintain a Pinball Machine. 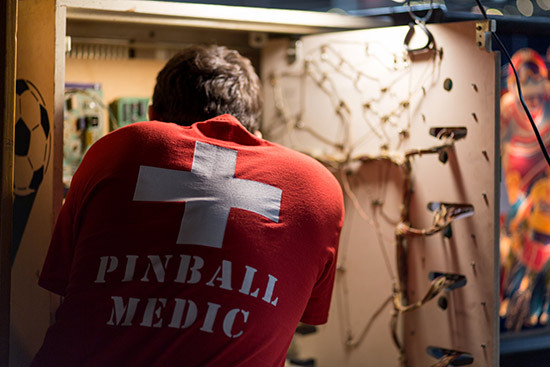 The 3rd Edition of his best-selling book Pinball Machine Care and Maintenance, published by the Pacific Pinball Museum, sold briskly at the PPM table. 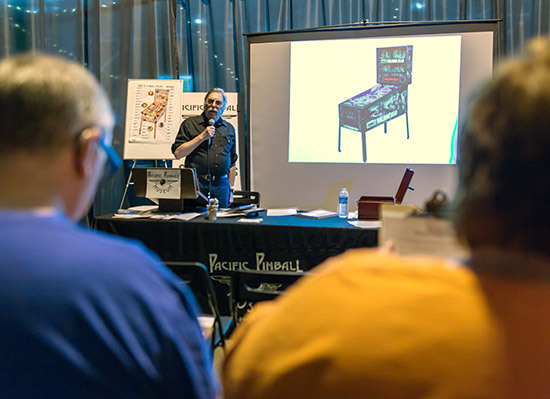 PPM Founder and Director Michael Schiess and PPM Treasurer and Board President Larry Zartarian gave a daily presentation Everything You Wanted to Know About the Pacific Pinball Museum covering the history, growth and ambitious future plans for the PPM. 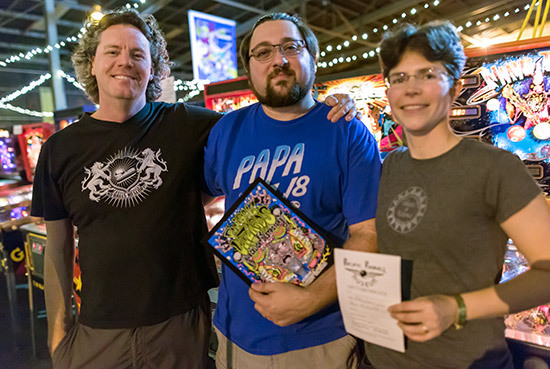 In addition to restating their resolve to become the “Smithsonian of pinball”, they shared the progress made toward occupying Alameda’s 1902 Carnegie Library building as the PPM’s permanent home, as well as plans to launch two major pinball events each year in their expansive PPM Annex. 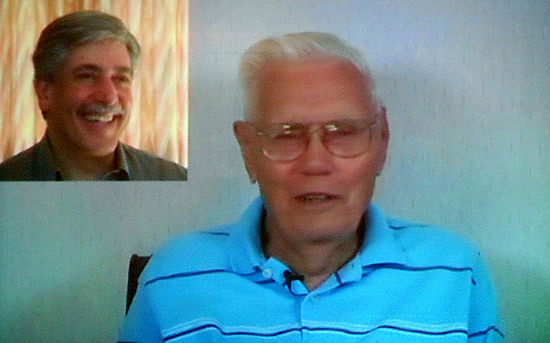 Mike and Larry revealed that, for the first time, the PPM was able to set up, on a permanent basis, a significant portion of their entire collection in the new PPM Annex. 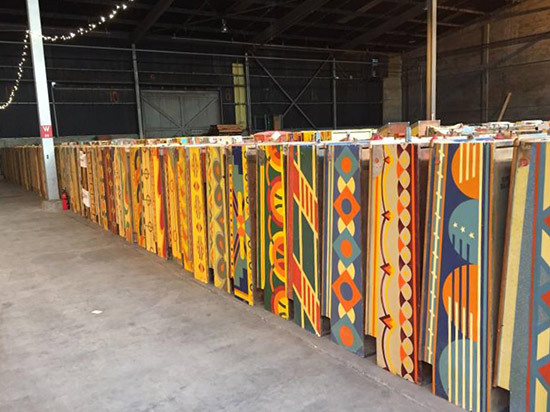 In addition to being able to display more than 500 working and restored games at any point in time, the 45,000 square foot Annex provides ample room for a workshop and restoration area as well as organized storage for the remainder of the museum’s rapidly expanding collection. 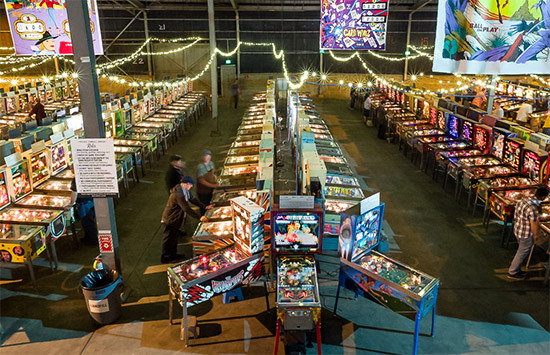 In addition to their plan to host two major pinball shows each year, the PPM envisions renting the Annex to individuals celebrating special occasions and to companies seeking a unique and engaging venue for parties, team-building, mixers, receptions and other corporate events. 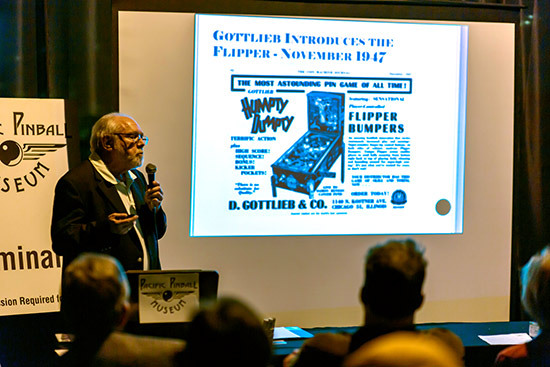 Appealing to those with an interest in the 'Golden Age' of pinball as well as the merely curious, each day of the Expo Gordo presented the graphic seminar The Crest of Pinball’s Golden Age: 1954 and the Games of D. Gottlieb. 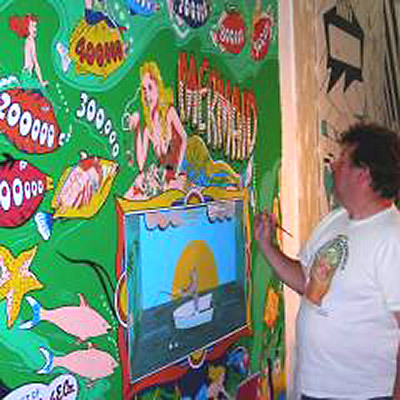 The presentation explored the impact of popular culture on pinball theme development and a detailed discussion of Roy Parker’s artwork on four exceptional D. Gottlieb games released that year. The presentation was a preview of Gordo’s about-to-be published book on all thirteen Gottlieb games from that memorable year. If you’re interested in knowing when it will be available drop him an e-mail at hasse.gordon@gmail.com. 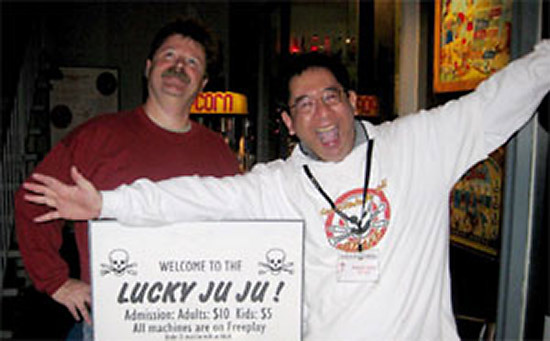 A video tribute, An Interview with Pinball Designer Wayne Neyens, was screened for attendees each evening. 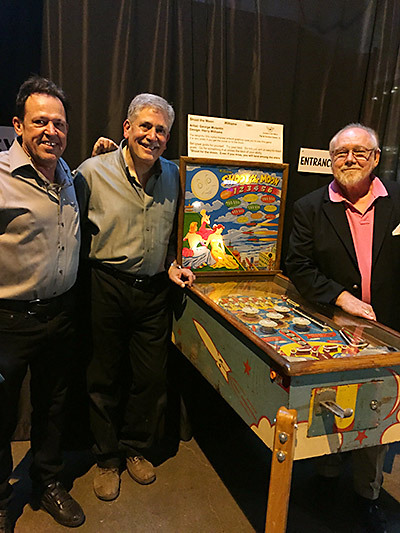 The interview format hosted by PPM Board President Larry Zartarian proved to be an ideal approach revealing fascinating details of pinball’s most prolific and successful designer’s experiences during his more than 50 year career. 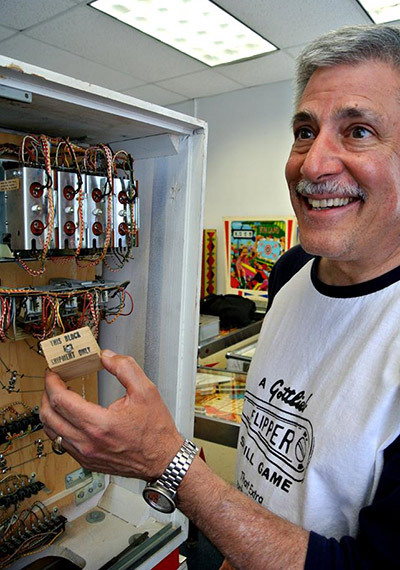 Almost solely responsible for 177 Gottlieb pinball designs from 1949 through 1976, during the decade of the 1950s Neyens produced an unending string of popular and profitable games at the astonishing rate of roughly one game per month! 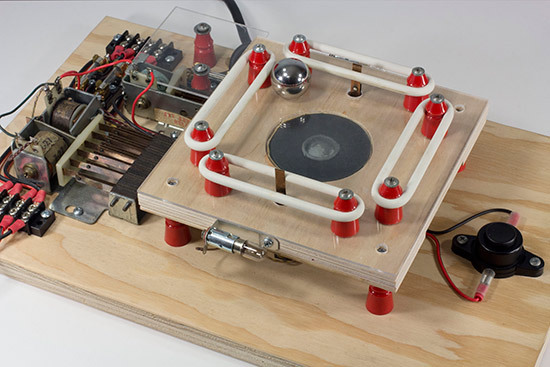 This classic video, a Will White production, is part of the PPM’s ongoing, archival Pioneers of Pinball series. A number of vendors set up at the show offering a wide array of products and merchandise. 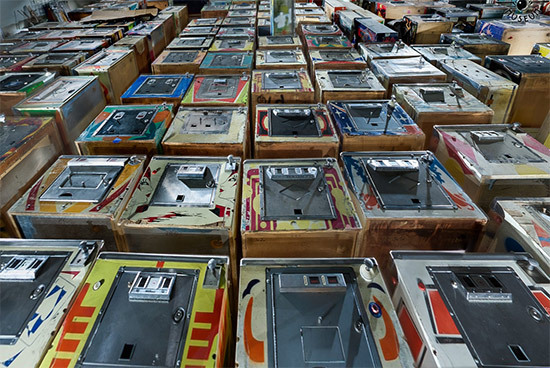 In addition there were approximately a dozen pinball machines for sale at the show by various individuals. 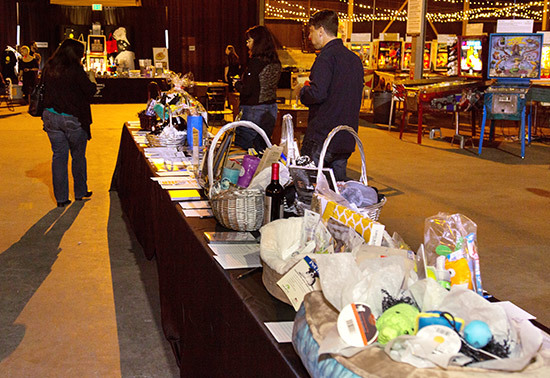 PPM patrons and local area merchants generously contributed many unique items to be auctioned off during the course of the show. A 1975 Bally Wizard! crossed the block at $3,000. 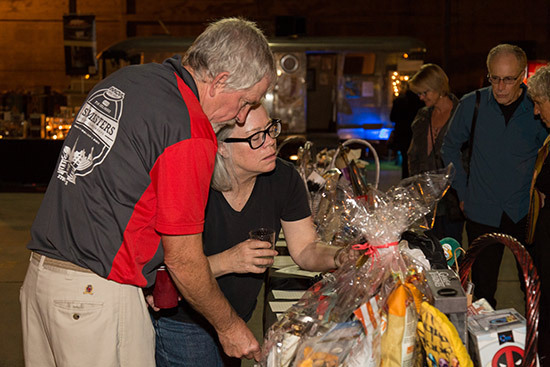 A Panic City neon sign donated by Rhino Records founder Richard Foos: a large, revolving Lone Star Beer 'Monkey Display' and many 'baskets of cheer' found new homes at the end of a separate silent auction. 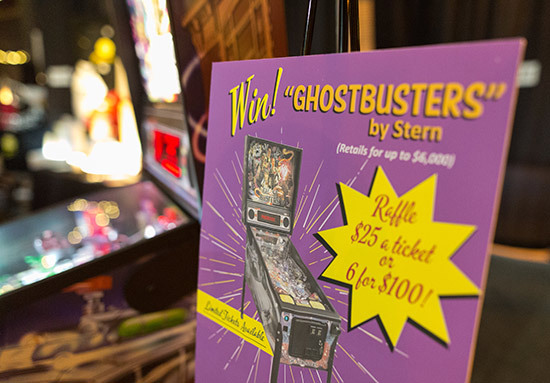 PPM Board Member Jim Strehlow donated a brand new Stern Ghostbusters to be raffled off during the show! 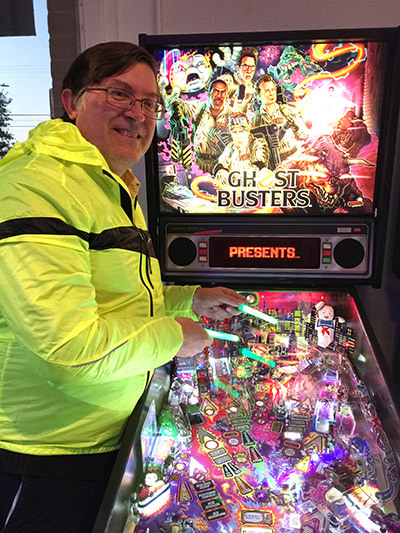 Jim’s generous gift resulted in the sale of more than $10,000 worth of tickets and the lucky winner was John Mayo, shown here with his new GHOSTBUSTERS. 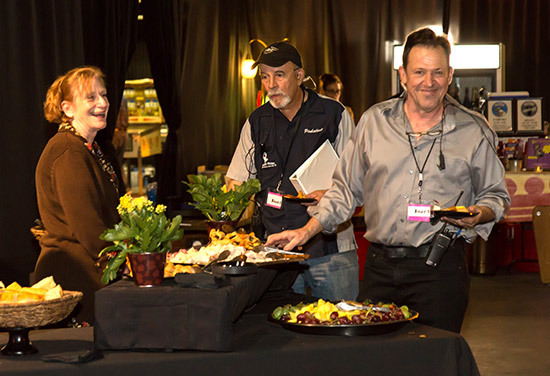 Show attendees enjoyed catered specialties from Chef Rutilio 'Rudy' Fanetti-Durance’s C'Era Una Volta - Ristorante Italiano. 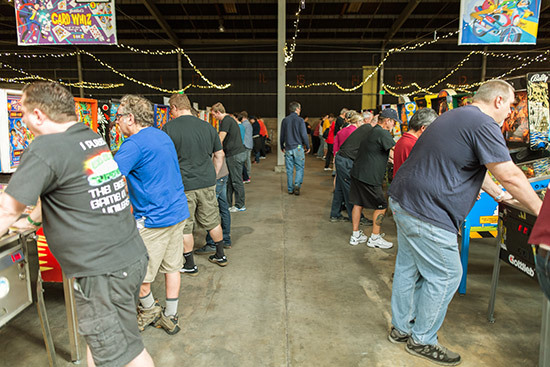 In addition, a broad selection of local wines and craft beers gave visitors the opportunity to enjoy some of the best of the Bay Area’s local fare. Three different tournaments took place during the show. The tournament games shown below, reflected the design challenges of three distinct eras. All tournament entries were free with admission to the show! 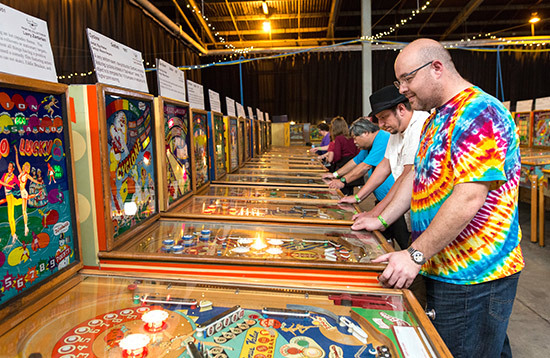 A different tournament was held each day directed by Echa Schneider, under the auspices of the International Flipper Pinball Association (IFPA). Follow-up surveys with Shoot the Moon attendees found that 99% of those polled who visited the show would come to the next PPM Exposition event. 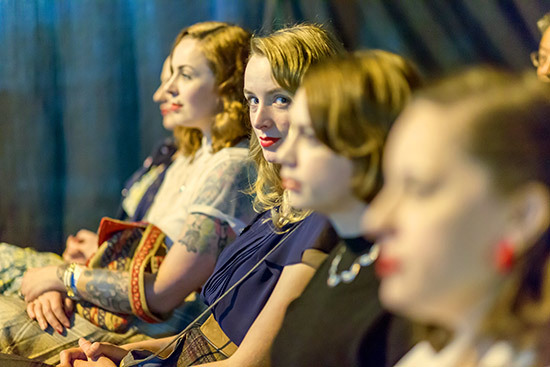 Of those who took the guided show tours, 85% reported that they exceeded their expectations and, among seminar attendees, 65% reported that the sessions they attended exceeded their expectations. Given the limited advance notice of the show the overwhelming majority of the more than 1,000 attendees came from the local San Francisco Bay Area. An encouraging 52 attendees offered to serve as volunteers at the next PPM Expo. 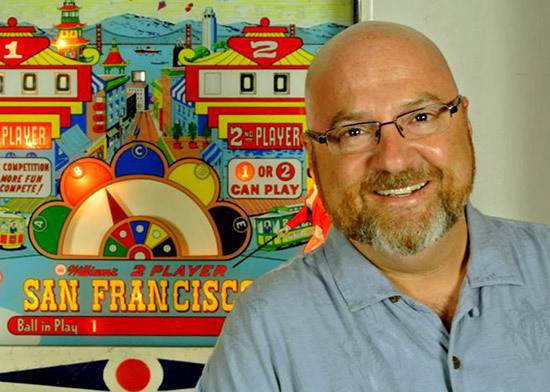 Perhaps most interesting of all, 57% of those polled did NOT own a pinball machine! This surprising statistic served to validate that interest in the multiple objectives of the PPM and its variety of activities reaches well beyond the 'pinhead' community! 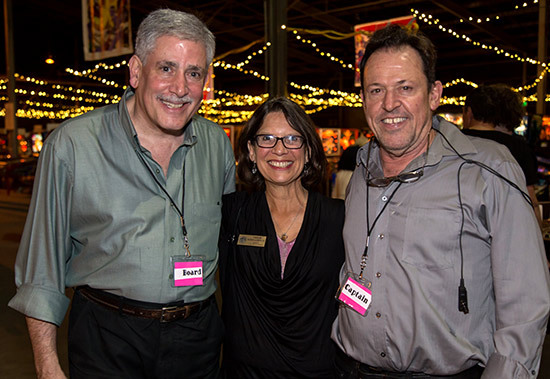 From the perspective of the PPM’s Board of Directors, this was a most satisfying and successful show, providing the impetus for even more exciting events in the future. Given the success of Shoot the Moon, the PPM Board of Directors has tentatively planned for two PPM Expos each year from this point on. 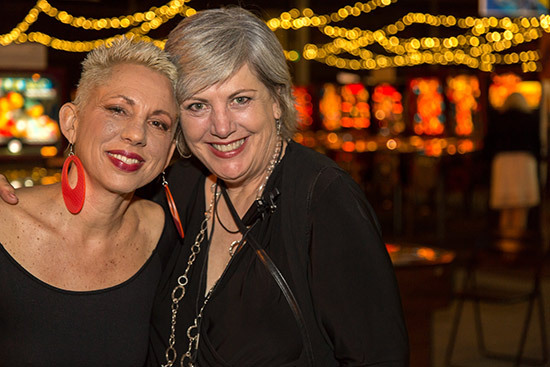 The new Annex provides them with requisite space for individuals and companies to stage parties, celebrations, corporate and team-building events – any function seeking lots of fun and lots of space! Revenues from these and other PPM-sponsored events will go toward the carrying and operating costs of the Annex and the continuing Carnegie Library fund-raising effort. The new Annex provides ample space for an accelerated restoration program allowing more rare and desirable games to be made ready for play on a timely basis. Former problems of space for games, parts, and restoration tools and equipment have now been eliminated! 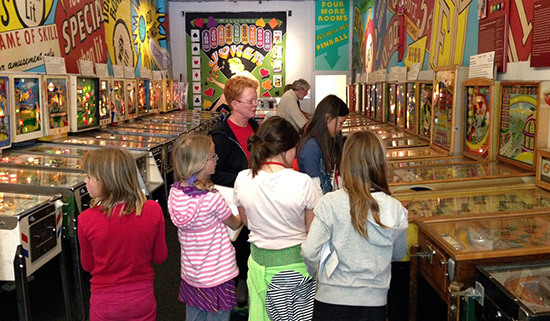 The Annex also permits the PPM to expand their STEM-based educational programs using pinball as a vehicle to teach art, history and science.